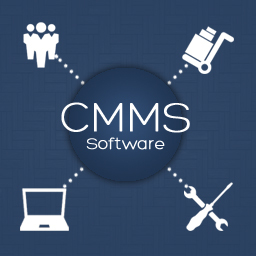 CMMS Work Order Software Is Not Just For Maintenance Departments! Perhaps the reason you are searching for work order software is to help your particular department, facilities or maintenance. What a lot of facility and maintenance managers are finding out is that it is difficult to express the value of CMMS software to everyone else when it only directly benefits their department. I’m here to tell you that there are highly customizable and flexible work order solutions available that can be used by any department that accepts customer requests. How nice would it be to have everyone on the same system! You can easily argue the return on investment (ROI) of CMMS software when it can replace multiple costly independent software platforms that each department is using. IT Ticketing – Typically employees will email IT for help or IT will have their own separate ticketing software built into an intranet page. CMMS software can be used to manage their ticket system, prioritize work, and generate reports on items they have issued out to employees to use such as laptops, phones, and projectors. They can also store warranty information and technical manuals for their equipment, making it unnecessary to keep paper copies. HR Requests – What do you normally have to do to request time off at your organization? It probably includes filling out paperwork and a steady stream of emails to finally get a day off. Work Order software can be used to track your request to see whether or not it has been approved or denied. The ability to store documents in CMMS systems makes it easy for employees to find, fill out, and submit important HR documents. Purchasing Requests – Suppose Joe in sales needs a new computer chair. Normally, he would go ask purchasing to get a new chair. His request would then have to be approved or denied by the purchasing manager based on the budget for office supplies. Work order software makes it easy for Joe to stay on top of his request, to know if it's approved, if it’s been ordered, or if he is going to have to tough it out with his old chair. It also makes it easy for the purchasing department to stay on top of it's orders. The most important piece to selling CMMS software to other departments is making sure it has the level of customizability needed to make it work for them as well as yourself and your department. Que Centre CMMS software has the ability to create multiple service groups within each customers cloud-based instance. This means, each department gets their own corner of the software that can be set up any way they like. Think of what your organization can do with that kind of freedom!